American Craftsman Renovations offers Savannah homeowners with professional kitchen remodeling and renovation services. 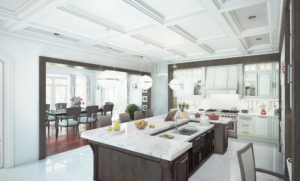 Greater Savannah homeowners can work with us to design their dream kitchen, from minor enhancements such as a new backsplash and new appliances to a total remodel overhaul with new custom cabinetry and a new kitchen configuration. Homeowners in Savannah can bring their vision for their kitchen to life. We will work with you one on one throughout the entire project to ensure your needs are identify so that we can accomplish your kitchen goals. Let us help ensure you have a positive and successful kitchen remodeling experience. Work with American Craftsman Renovations today and let us help enhance your kitchen, creating a more functional and inviting space for you and your family.